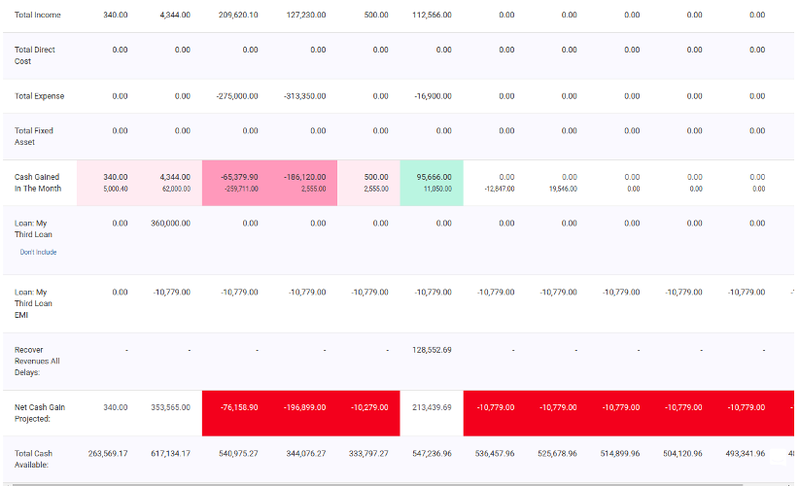 Forecast your cash flow quickly, easily and accurately with ProfitBoard. You can define rules, growth rate etc. Also if you have more data, you can ask it to auto-predict the future values. Build different future scenarios with ease. Know your cash flow trajectory by experimenting with scenarios. See the position if loan or investment is taken. Going forward you'll be able to put variables like payment delay durations, customer upsell %, custom churn % even employee churn and impacts.